Depression is not a single symptom, but a construct – a group of body, mind, and spirit-related symptoms that almost always coexists with anxiety and other mental issues. The presentation of depression is often different depending on genetic, environmental, and bio-psycho-social factors. Because the fear of the suffering (often unbearable) that is associated with depression, we instinctively reject it in every possible way. 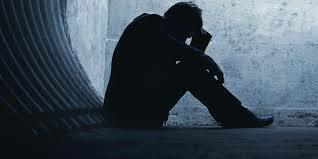 Because of the pain, we perceive depression as a disease and will likely look for a quick fix. For example, we may turn to medication, based on the conventional medical (disease) model, even though antidepressant medications are not the cure. However, if we instead seek to perceive depression as SYMPTOMS (sort of like MESSAGES), we will likely look for the cause (hidden unmet needs since the past) with our attention, curiosity, and patience. Medication can be useful if it is used carefully and does not cloud our opportunities to trace back to our unmet needs in body, mind, and spirit domains separately and collectively. In addition, it is best to use medication along with therapy/counseling if you do decide to use it. It is particularly beneficial to your healing if you become your own advocate to promote the collaboration between your psychotherapist/counselor and the medication prescriber.